Home App free internet These Apps Will Give you free INTERNET Data! Hello guys Today we are come back with the best android apps. why those apps are best android application because they give you free internet data.now the most of android and ios users spend 24 hrs with smartphones from morning to night but they don't know how to get free internet on android and ios devices.Here some cool apps they give you internet data,but how they give you without spending money.It is simple they consume your data when you are using in whatsapp and facebook and other apps.it will recharge your mobile data at the time of you need. 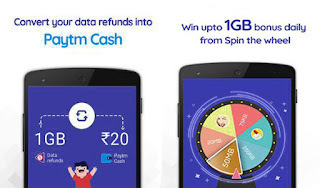 The best thing is user can get 2G/3G/4G recharge.and also it will give you additional data for invite friends,and also Converts your data refund into Paytm Cash.It is similar to gigato but it will give you more data offer.bonus data will added daily in your wallet. Spin the wheel and get upto 1GB data. Convert data into paytm cash. Invite and get data bonus. if don't want referral just skip it and continue. 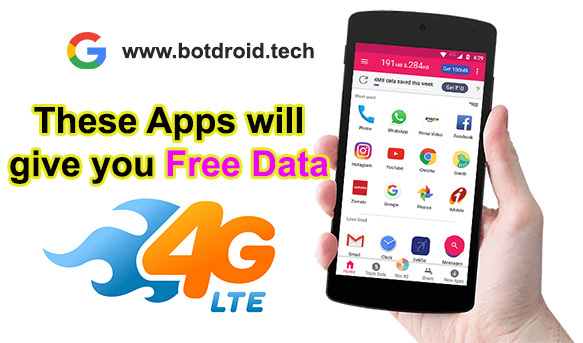 It provides free unrestricted data for your phone it will suggest to use some apps on your phone like facebook,tik tok,whatsapp it will store the consumed data on Gigato wallet and give back through the free recharge whenever you need data. Note:It will recharge only data packs not call packs. here after you know how it works.